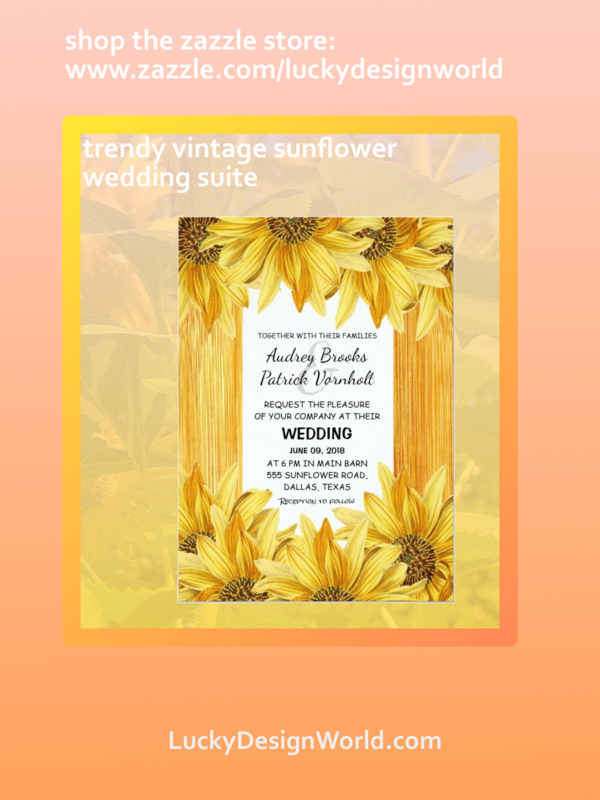 Trendy Wedding Suite: Vintage Sunflower Theme! A bright sunny flower theme to add cheer to your invitations! A new wedding suite to add to the stores collection! Here is a bright, cheerful sunflower theme! The sunflower is a great flower choice because of its symbolism: adoration, longevity & loyalty. A perfect flower to have! 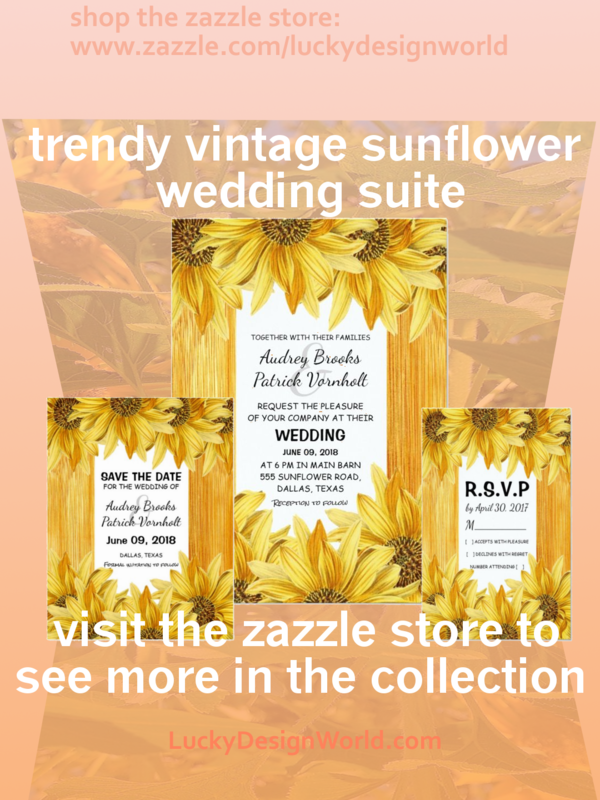 The wedding suite was created using vintage sunflowers because they look unique and tie into the country rustic theme. The typography is a mix of fonts to show the uniqueness of the bride & groom and to create an informal, fun look. The background used is a wood to go along with the country rustic look but this one is a golden hue to compliment the sunny golden yellow petals of the sunflower. On the reverse side for two of the invite designs is an entire bouquet of sunflowers to symbolize the joyous gathering of your wedding celebration. Without further ado, here is the collection. It’s a petite collection but that is meant to keep your wedding day simplified! Once again best wishes from Lucky Design World. Do you like this blog & have thought about blogging yourself? I’d recommend using Siteground because they provide safety along with speed. With brilliant and excellent customer service – they know their stuff and are going to help you along the way! Not to mention, great bargain prices ! Try Siteground today!